Netflix could have taken over the UK home video rental market 8 years ago had it not backed out of a launch eight years ago, says Lovefilm's founding CEO. 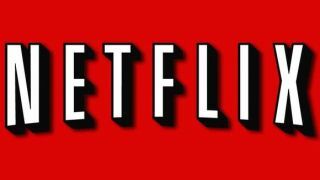 Speaking to the Gigaom website, Adam Valkin - who no longer works at Lovefilm - says it could have been different for the company had Netflix folllowed through on its plans to launch in the UK in 2004. US giant Netflix, which is banking on the European market to revive its ailing fortunes, was on the verge of crossing the Atlantic in 2004, but thought twice due to Amazon's decision to launch a service in the UK. "Netflix decided to come to the UK in 2004 — and honestly, if they came, I think it would have been a completely different story," said Valkin. "They decided the day before they launched to pull out, because Amazon had announced they were going to launch in the UK. So Netflix said 'well, if Amazon are going to launch in the UK, they're going to launch in the US, which means we've got to go back to the US and worry about the US and let them have the UK.'" Lovefilm did so well against the Amazon threat that it was able to purchase the American competitor. Now, of course Lovefilm is owned by Amazon. "We had to contend with Amazon, which was a tough company," added Valkin. "But it was one of 1,000 things they were doing — so we competed with Amazon really well, to the point when they actually sold us their competitor and they ultimately bought back the whole thing. But if Netflix had launched it would have been a different story." So, part of Lovefilm's success and the reason why it is currently so well placed to deal with the Netflix onslaught is Netflix's decision to chicken out 8-years ago.